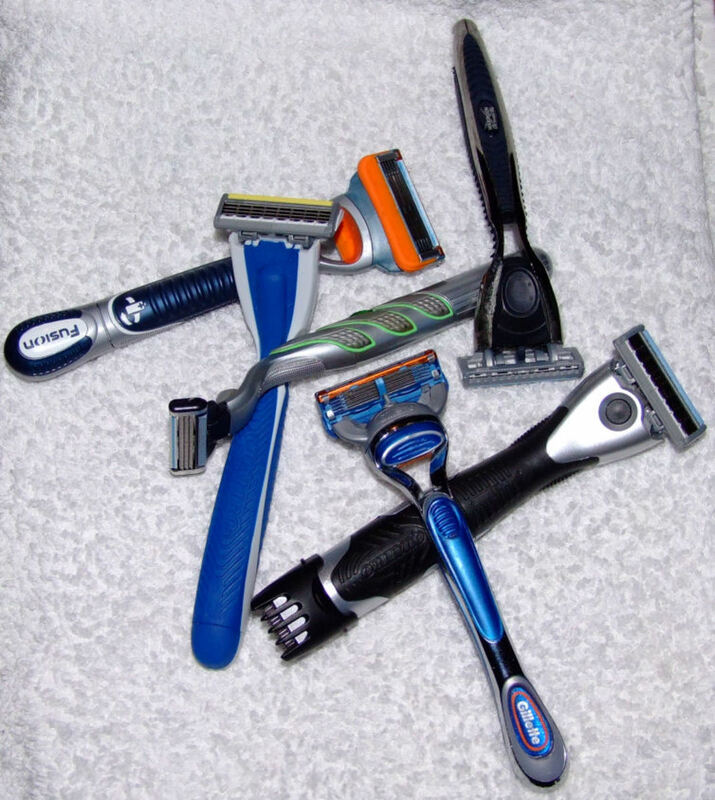 I decided to switch razors a few months ago, just as a trial run. 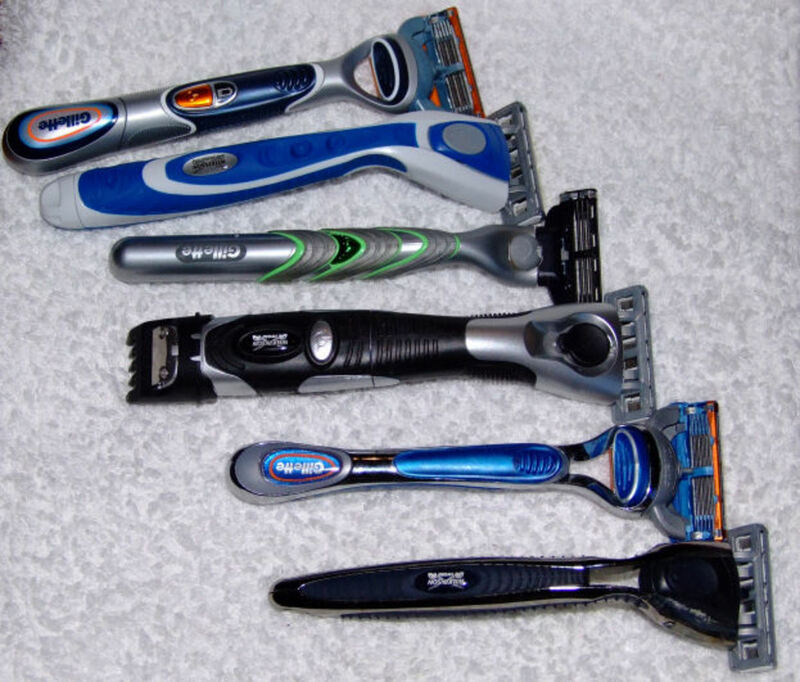 Previously I’d used the Gillette Fusion Power and was determined to test the (Schick) Wilkinson Sword Quattro Titanium Energy and see which was best. 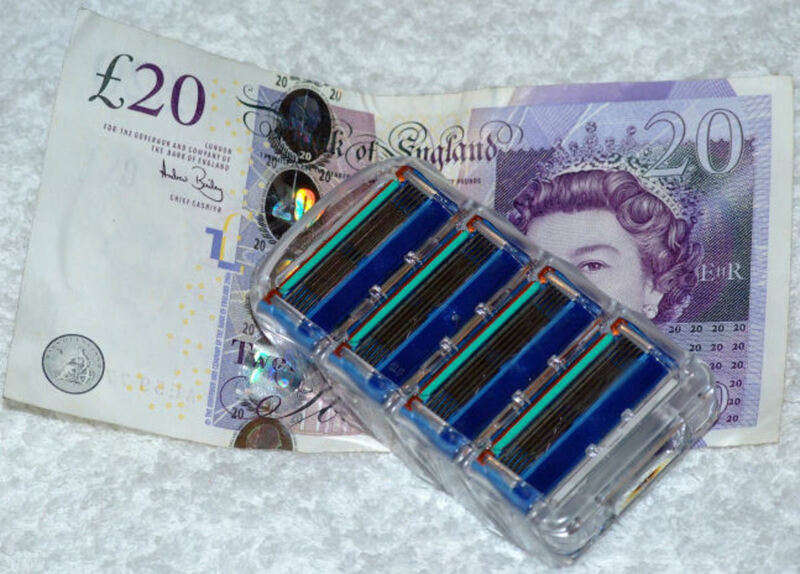 I wanted to stick with the vibrating (or micro pulse) type of razor and in the UK there aren't many available not either Wilkinson Sword or Gillette, and so the Quattro Energy was the serious contender. Here’s a quick comparison and joint review of the two. Note: Schick is the company name when marketed in America and Australia. When marketed in the UK the company is called Wilkinson Sword. Both of these razors designs and colour schemes leave something to be desired. Its not that they're awful per se, it’s just a little juvenile. Cast in dark blue and grey with orange highlights, the Gillette Fusion Power looks a little like something escaped from Noddyland. 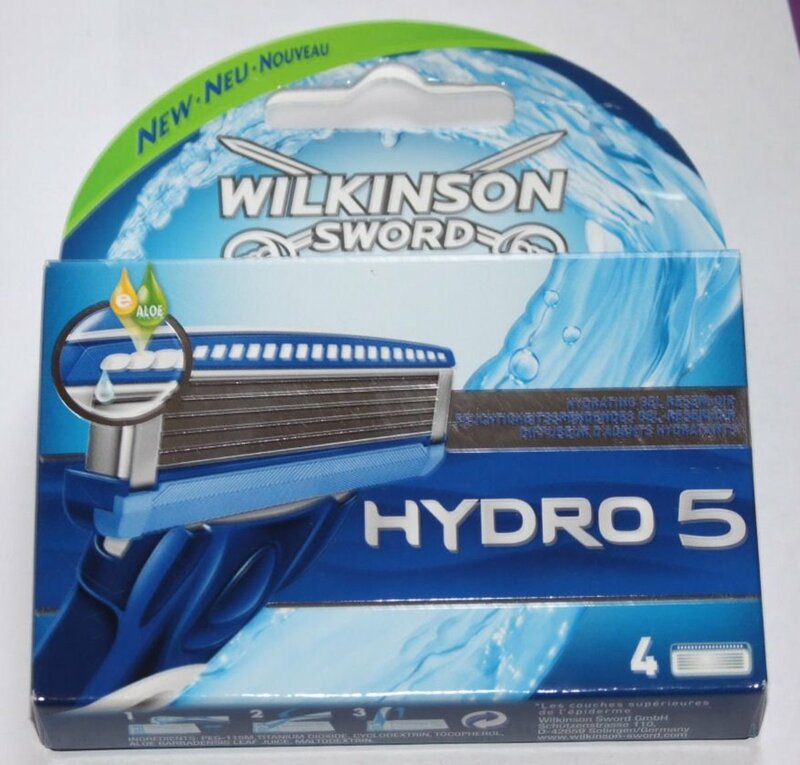 The Wilkinson Sword Quattro Titanium Energy, with its sharp lines of sky blue and white looks more like it leapt out of power rangers. In terms of ergonomics, the two are quite different. Fusion Power basically keeps to a shape Gillette have used since before the mach 3, a cylindrical shaft with some shaping for comfort and grip and a short curl on the end with slight flaring out to the blade. The Quattro has a slightly narrower handle at the point of grip while the section that sits in your palm is slightly wider than the Fusion Power, with a much more pronounced deeper curve flaring out to the blade. 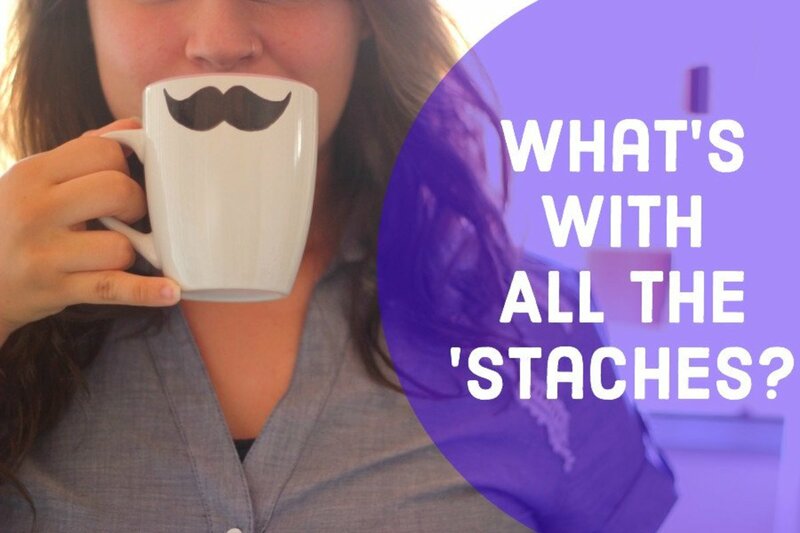 Both are reasonably comfortable to hold with more weight than generally found in plastic razors. 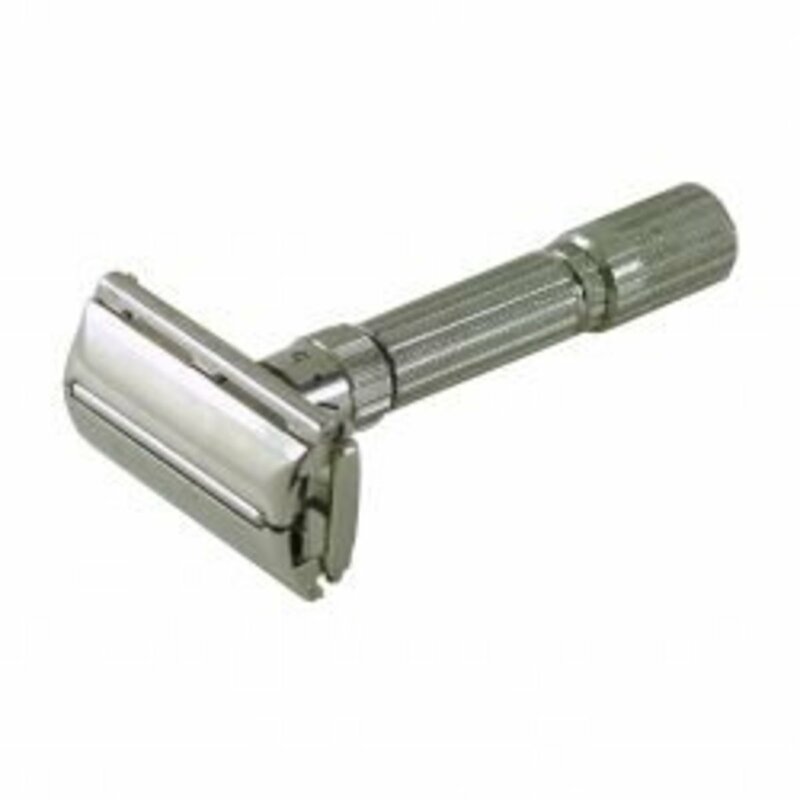 I actually prefer the design of the Quattro, at least when shaving, as the deeper curved head makes it easier to shave, easier to see and easier to angle. This is entirely a matter of preference though and as I prefer greater control I tend to move my hand down towards the blade. The weight is better than the Fusion Power too, tending to be a little heavier while still maintaining balance. Both of these razors came in cheap plastic flat lying cases. Having previously purchased avQuattro Titanium Precision Freestyle that came with a plastic upright storage case with suckers to stick onto the shower wall, I’ve adapted that to hold the plain Quattro. 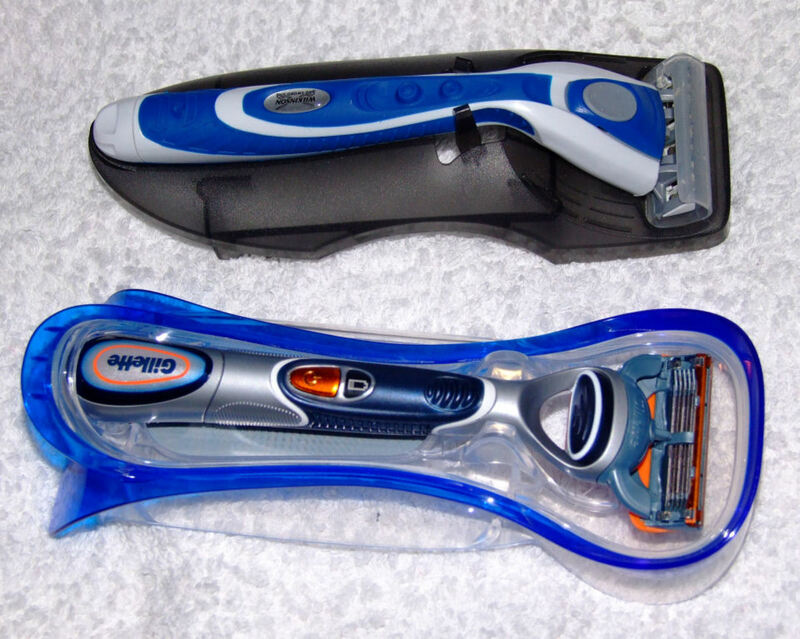 While not a great point of contention, both of these razors should come with something like the freestyles case. It saves space, it’s more convenient and it doesn’t get grimy necessitating a cleaning every week. It also dries the blades in a downward fashion which is better for them. As an aside, The Fusion Power appears to come in a number of models such as ‘Stealth Power’ ‘Phenom Power’ ‘Fusion Gamer Power’ and straight ‘Fusion Power’. As far as I can tell, and do correct me if I’m wrong, the only difference appears to be the colour scheme. 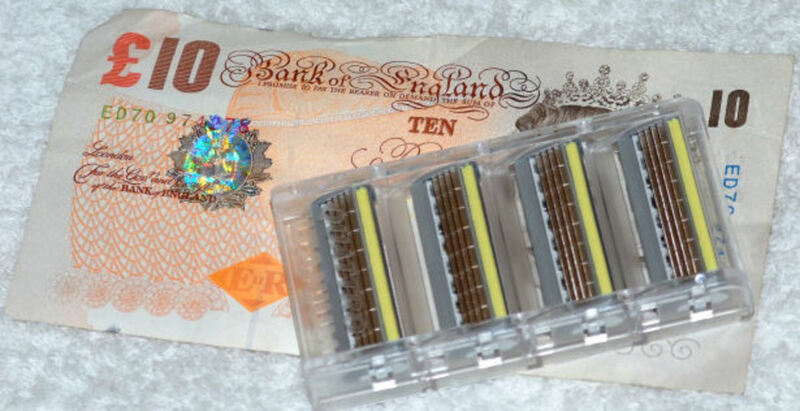 These are both multi blade cartridge razors where replacement cartridges click onto a holding system on the head. A note on this is that the Fusion Power system rather sturdier than the Quattro. The first time I used the Quattro, I pinged the cartridge off the handle and nearly sliced my face open, you have been warned! Both cartridges have systems that allow them to change angle, to pivot on the razor handle. The pivot system and the click-on hold system on the Quattro are one and the same. Two outward facing (and rather flimsy) sprung loaded plastic clips on the handle slot under curved rails at either side of the cartridge both holding the cartridge onto the handle and allowing movement of the head to give variable angles whilst shaving. On the Fusion Power, the hinge is built into the cartridge itself making it two-piece with the handle clicking into a cover. 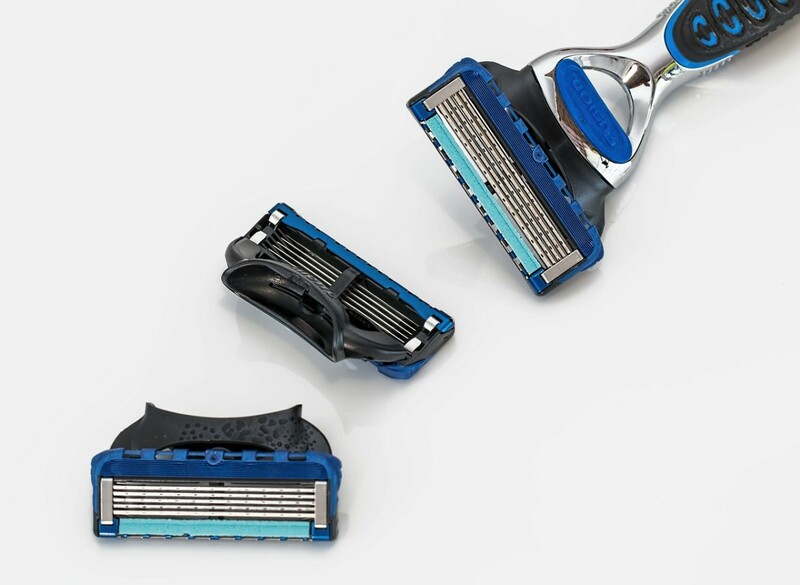 Both razors have a sprung loaded pin in the middle to keep the head in a forward position and allowing it to flex backwards on the hinge as you shave. The cartridges have a colour changing gel strip along the top. This supposedly delivers cooling gels of vitamins and aloe while the fading colour indicates when you need to change it. In practice, the Fusion Power strip either comes off in big clumps or fades very quickly when used in the shower and the Quattro never seems to fade at all. Along the bottom is a kind of textured rubber piece, designed to pick up the hair off the skin and direct it onto the blades. I don’t know if this actually works. The most obvious difference is that the Gillette cartridges have five main blades and one rear blade while the Quattro only has four main blades and one rear blade. Fitting more and more blades into the cartridge seems to be the current space race between the various razor companies. How much of it is gimmick and how much is real benefit seems to be a matter of opinion. 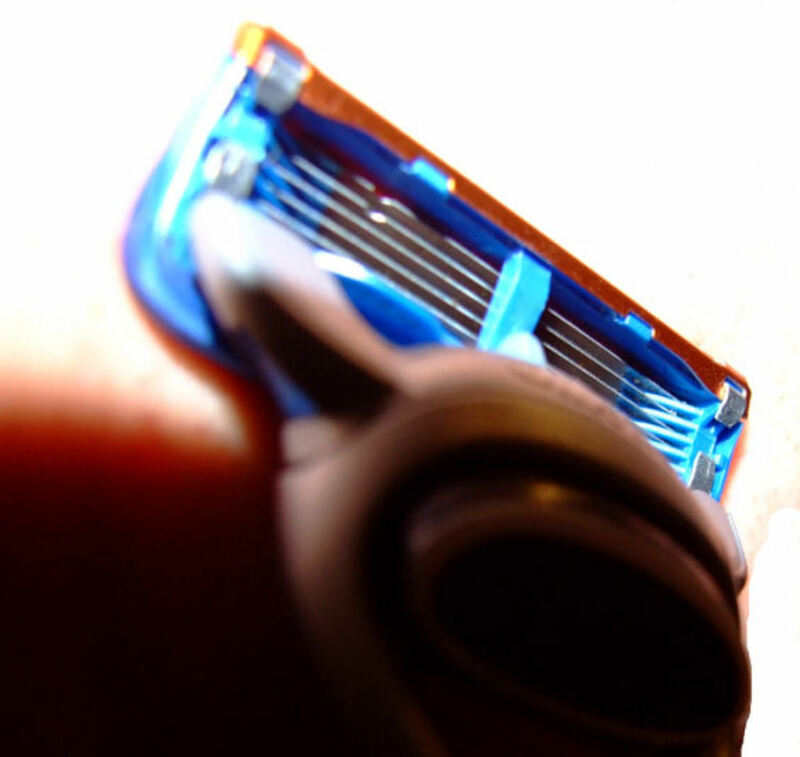 Some people maintain that although there are many blades, they don't have the shaving effect of covering the area five times while they do have a skin irritation factor. All I can say is that with the Fusion Power I do notice less tugging than the Quattro although that could be other factors rather than the blade count. The Gillette cartridge does have a higher surface area though which I think helps. The blades are actually mounted differently to each other in the plastic surround too. The Fusion Power blades sit in tilted slots at either end of the blade, supported by small hard plastic arms that extend a little down the backs of the blades. The cartridge case is basically flat. The trimmer blade sits in a metal surround on the top of the cartridge. The Quattro’s, while being much more difficult to see, appear to be tiered almost flat, one above the other and set into the sides of the plastic case. They also appear to have a very thin wire wrapped at seven points across the four blades and round the back. Presumably this supports the blades and stops the angle changing or the blades moving. The cartridge case is sort of triangular so when it sits flat on the handle, the blades are angled upwards. 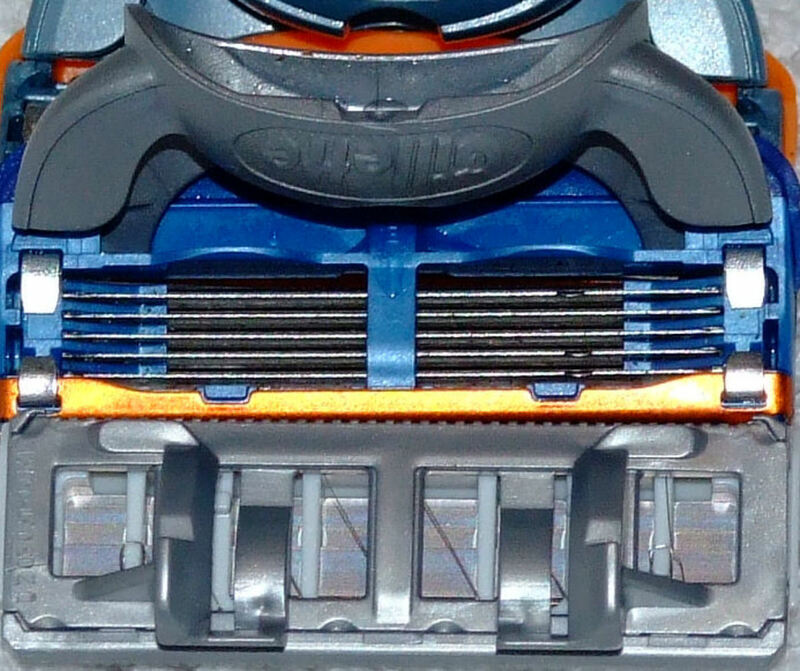 The trimmer blade sits in a plastic surround at the top of the cartridge. The net result is that the Fusion Power has a much more open blade set up and the Quattro’s is quite obscured. I would guess that the Fusion Power blades are fractionally more angled too although that’s just a visual. The Quattro’s marketing point on blades is that they have a thin strip of titanium along the edge in an effort to keep it sharp for longer. I personally feel they'd be better physically thinning the blade a lot, adding a few ppm more carbon to create a single piece harder steel blade and making the spacing between blades a lot wider. Both the thickness of the blades and the narrow spacing carries problems I’ll go into later. In terms of how sharp they stay, a comparison of time the cartridge lasts puts Gillette out in front by about a week of shaving. I keep a Quattro cartridge in for about two weeks and a Gillette in for three. Both depend on how long and when I shave though. While the Judges are still out (literally in some cases) on whether the whole vibration thing is just a gimmick, for me it’s a real benefit, however it works (and there are many theories). There are slight differences in the vibrations of the two razors. Just holding the two in my hand the Fusion Power has a lower frequency of vibration. I would guess that the offset weight that creates the vibration is larger or more offset in the Fusion Power than the Quattro. You can hear that the pitch of the noise is higher in the Quattro. Honestly, without fixing a Fusion Power cartridge onto the Quattro handle and vice versa, I couldn’t tell you how much of a difference it makes nor which is the better if either. 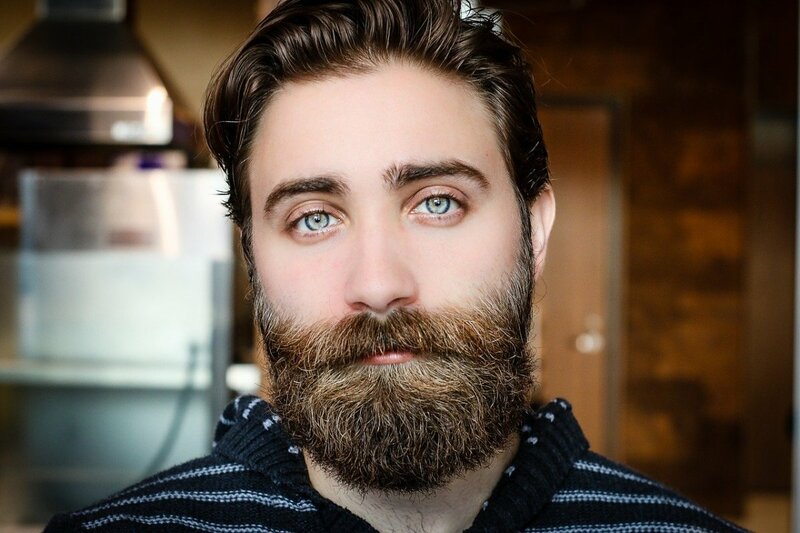 Following how they look and work comes the real question, how good is the shave? 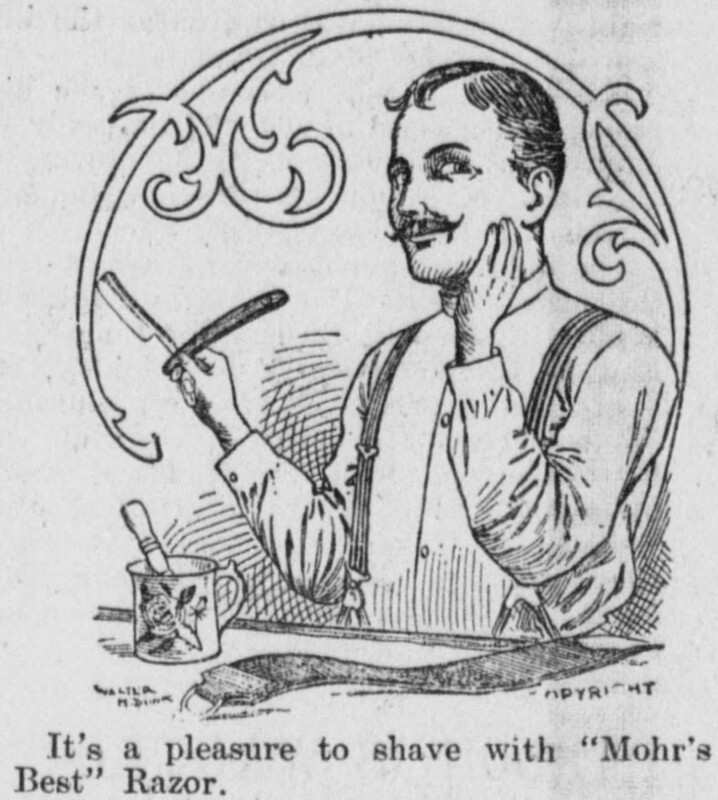 In order to test this I've shaved with one at a time, and both. The one at a time merely involved shaving with one of the razors for a week or so and seeing the results. As this can depend a lot on how your skin is at the time, I've done this at random times over a couple of months. Shaving two at a time, I shaved with Fusion Power on one side of my face and Quattro on the other. I also got my other half (who has a keen interest in making sure my face is as smooth as it can be) to pronounce on the results. The first thing I noticed is that quite apart from how they ranked against each other, they are a long way ahead of the non vibrating versions, at least for me. There was very little tug, much less abrasion and irritation and generally a better result. The second is that aside from having a stunningly better battery life and not sounding like an accelerating moped, the Quattro Energy is much better at shaving (for me) than the Quattro Freestyle. I have to come right out and say it, but in my opinion, the Fusion Power is much better than the Quattro. Even shaving against the grain, the Quattro had a tendency to give a very patchy shave. If I was being thorough, I'd dry my face, check for the patches missed, reapply, water, oil and foam and do it again. Obviously shaving twice really really irritated my skin so I only tried this when I really needed a smooth shave. By comparison, the Fusion Power most often shaved relatively close without going against the grain and patches missed were small, usually around problem areas such as the sides of the lips and just under the chin. A few additional strokes on these areas and they were fine too. I also found the Quattro ‘grabbed’ more and I was left with a few tiny little cuts, even on cheeks where shaving is easy. In comparison, I’ve never cut with the Fusion Power, not one little nick. This by itself makes me choose the Fusion Power. 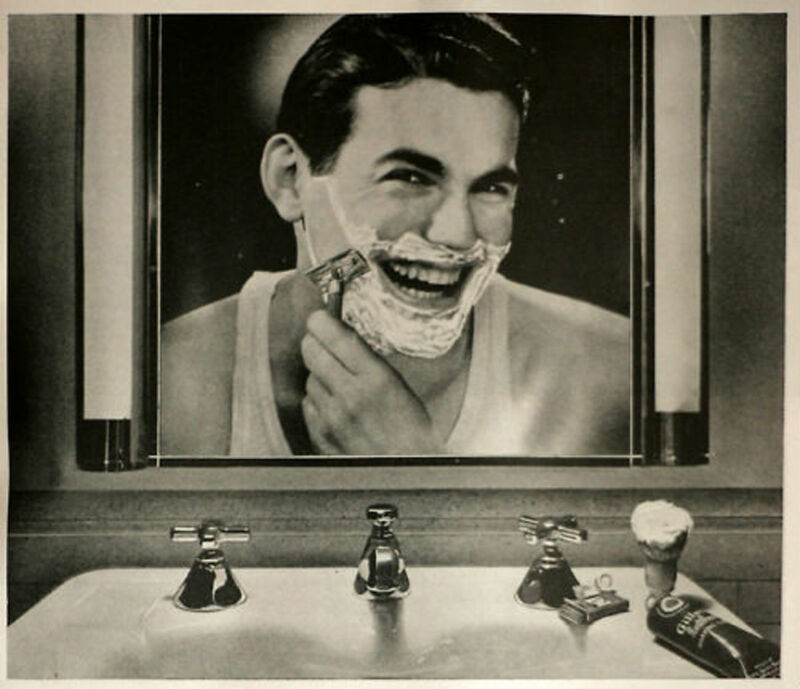 The net result of getting a full shave first time is not only a better shave but also less irritation to the skin. Much less. It’s also possibly a reason why the Fusion Power blades last longer, realistically, I’m using them less because they do the job first time round. 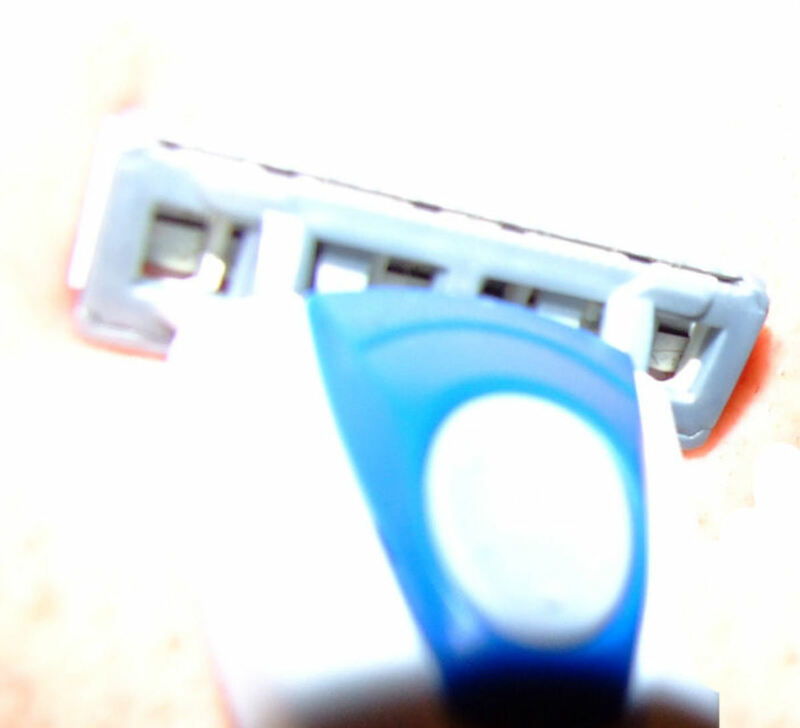 A secondary issue with the shave is rinsing the blades. I find it almost impossible to thoroughly clean the Quattro’s blades. They clog up with foam and hair very quickly and it seems to sit between the blades even when run directly under the shower head. 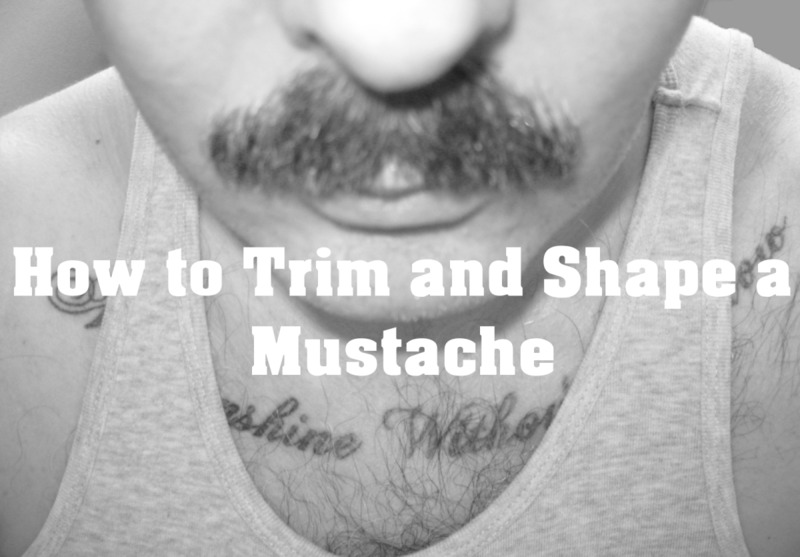 As the blades clog up, the ability to shave gets worse. This also means that the razor is never really clean, and spreads bacteria on my face every time I use it. Aside from a hygiene issue, that doesn’t help my skin complexion at all! In marked contrast, the open arrangement of the Fusion Power blades means I’ve never had a problem with this. One of the key factors influencing my trial of the Quattro was the price of cartridges. At normal Boots prices and even online, the Quattro cartridges are just shy of half the price of the Fusion Power, even when you buy the straight Fusion blades and not the ‘Power’ variety. Admittedly the construction isn’t as good but on something I throw away every couple of weeks that matters not a jot. The only thing to point out is as I get better use out of the Fusion Power, it evens the price per day gap quite considerably and only the initial outlay is a little eye watering. Unfortunately if I want to keep using the Fusion Power, I’ll have to pay the cost but it’s not an ideal situ for me. Although I do prefer the economics and the ergonomics of the Quattro, the shave is just not anywhere close to that of the Fusion Power. The Quattro tatters my skin, leaves me with razor burn, doesn’t shave fully and doesn’t clean properly. In short, 9 out of the 10 things a razor is supposed to do, and the most important ones at that, the Fusion Power does better. This is a fairly speedy conclusion but there isn’t a lot to say. If I’m ever feeling evil, I’ll gift the Quattro and remaining blades to my girlfriend, but I don’t think she wants them either. - and next... "A quick guide to shaving"